Princess Cruises has announced that four new musicals are on the way from Oscar-winning composer Stephen Schwartz. In a lavish New York event on March 12th the cruise line revealed the details of some amazing new musicals. This will be a one of kind partnership and an industry first with Schwartz who is well-known for being a three-time Oscar-winning composer for Wicked, Pippin and Godspell. 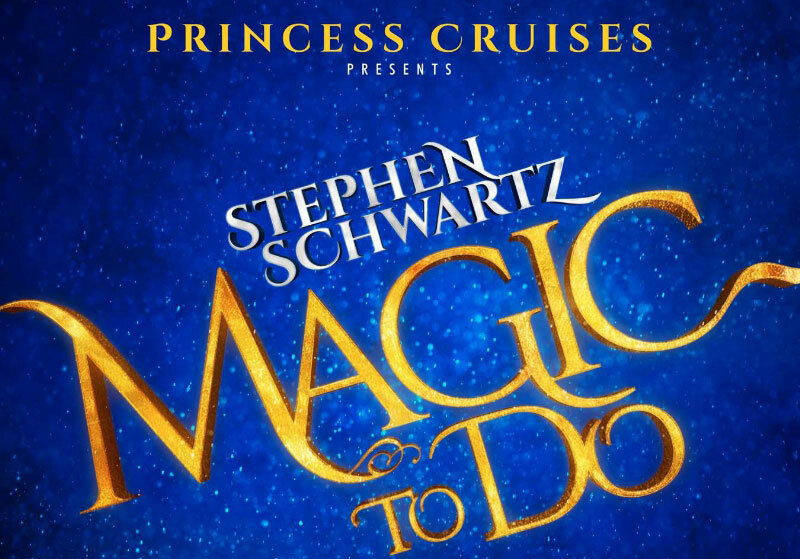 His first musical for Princess Cruises will celebrate Schwartz’s lifelong fascination with magic. Called Magic to Do, the show will combine thrilling magic with some of Schwartz’s most famous songs and a brand new song written exclusively for Princess. The show will debut aboard Crown Princess in the fall. Schwartz will oversee the creative development for all four shows, bringing together a cadre of Broadway talent to support the productions through direction and design. The Magic to Do team includes: Don Frantz, associate producer of The Lion King and Beauty and the Beast on Broadway, among many other Broadway and international accomplishments; Gabriel Barre, internationally acclaimed director whose credits include the national tour of Pippin and the current Broadway-bound musical, Amazing Grace; Jeremy Railton, four-time Emmy winner whose extensive background in theatre, film, television and multi-media design includes the 2002 Winter Olympics opening and closing ceremonies and the Academy Awards; Ken Billington, Tony award-winning lighting designer with nearly 100 Broadway show credits to his name, including Sweeney Todd and the current production of Chicago; Mark Hartman, award-winning music director with numerous Broadway credits including Sondheim on Sondheim, Avenue Q and the national tour of Pippin; and Jennifer Paulson-Lee, choreographer with credits including Enter Laughing, the Musical, A Rockin’ Midsummer Night’s Dream, 101 Dalmatians and Seussical. Auditions for Magic to Do begin next week in New York and Toronto, followed by Los Angeles and Vancouver. Schwartz will participate in the audition process, helping source top talent and performers for the 45-minute show.